01. 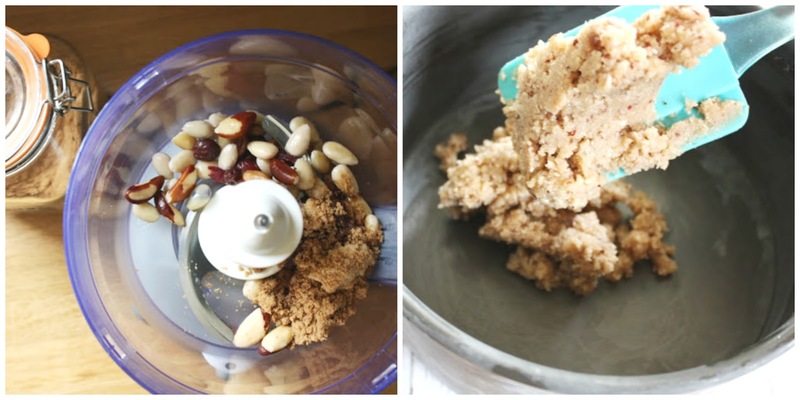 For the base, blend the almonds (which have been soaked overnight) dates, coconut and Syrup in a Food Processor, pulsing until they reach a breadcrumb or biscuit kind of consistency. 02. Spread the base into a small cake tin, making sure to push down the sides and distribute evenly until it is all compacted, then put in the fridge to set for 10 mins. 03. Now blend up the ingredients for the top (cashews, coconut milk, lime, and brown sugar.) They should form a smooth and creamy mixture and if you need to feel free to add more lime zest depending on how strong you want the flavour to be. 04. Pour into the tin, on top of the base and pop in the fridge to set for about 2 hours. I'm currently in France right now on a school trip, but let me know in the comments or on twitter what you thought of this post, and what other recipes you might want to see on here! Also, the response I got on my last post was so overwhelmingly positive and I cannot thank you guys enough for that. Reading through all the comments honestly put such a smile on my face and with the reaction to that post I can't wait to do even more of those personal style posts on my blog. Anyways, have a wonderful rest of the week and I'll speak to you all soon. this looks AMAZING! i try to eat super clean but i also have a huge sweet tooth so i can't wait to try this recipe! That looks amazing! Must try one day! This looks so tasty and really easy to make! Will deffo be looking at trying this one! This looks so tasty, I'll have to try the recipe! This looks so delicious, and perfect for summer, when it's too hot to turn on the oven! The lime zest on top of the pie makes it look so fancy, too. I want to try this out! Bullet Journal Page Ideas // Inspo!